Next Day Flowers Available. Guaranteed on your selected delivery date, next day flowers are safely delivered by our chosen courier service. Order by 4pm the day before for next day delivery Mon - Sat. Weekend deliveries are also available. How will your flowers arrive? The flowers are arranged by hand, finished with a beautiful gift wrap and sent out with a trustworthy courier service. All of the arrangements are quality checked before shipping to ensure the flowers are secured to travel safely and reach your chosen destination in a perfect condition. 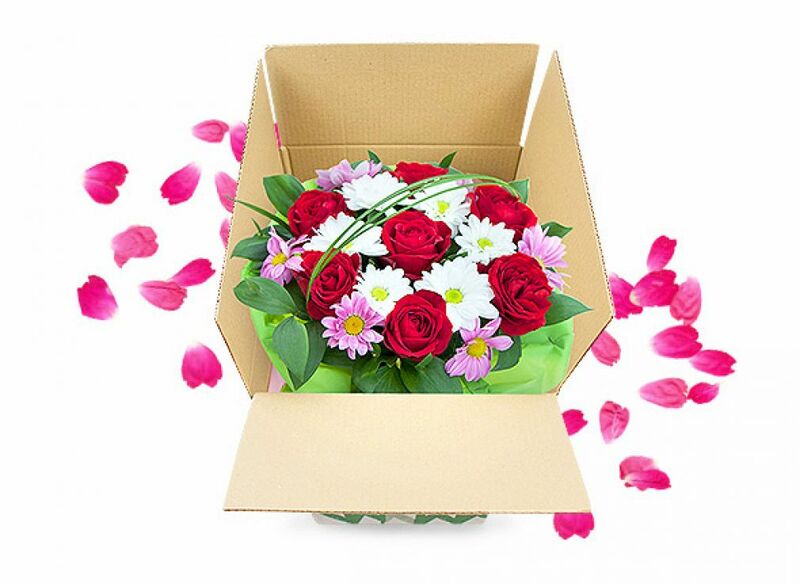 The flowers are usually delivered in buds to ensure their freshness upon arrival. 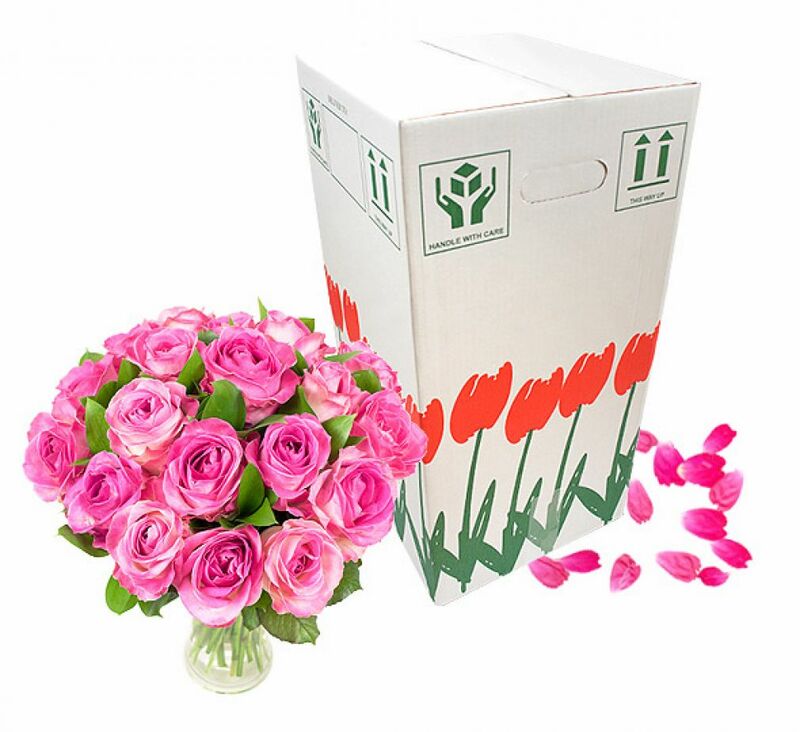 Roses are delivered with their natural guard petals so that the inner petals will be protected during the shipping. Once the roses are received, the guard petals can be unpeeled and the arrangement can be displayed. 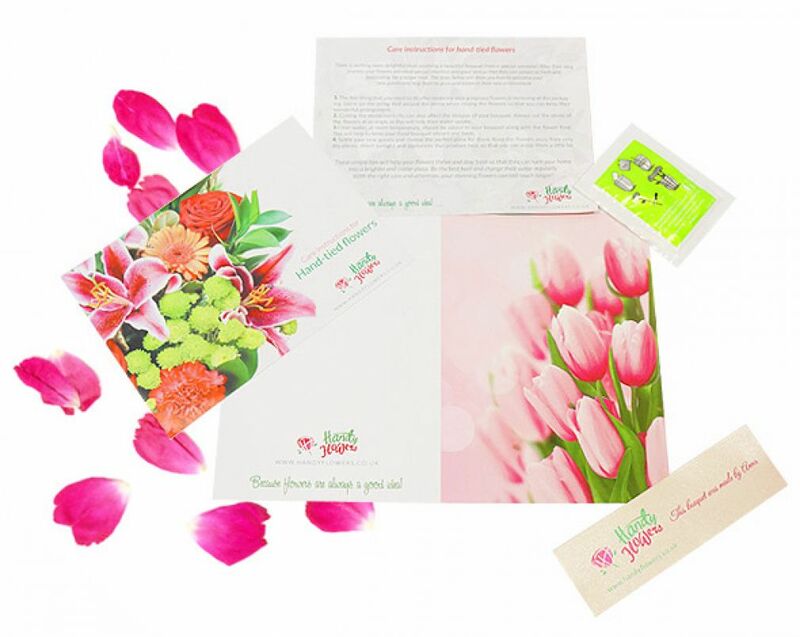 Our care instructions will show you the best ways to look after your flowers and enjoy them for longer. The flower food included in the box will also help you keep the blooms fresh and vibrant for days. We make deliveries throughout the entire UK. There are a few locations which might take up to two days for a delivery due to their long distance. Please get in touch with our team to confirm the availability of a next day delivery for your chosen destination. How will I know that the flowers have been delivered? As soon as your flowers are delivered by the couriers, you will receive a confirmation email. If you need to contact our team and check the progress of your order, please feel free to call us at 020 3409 3030. Our customer support team will be happy to assist you.